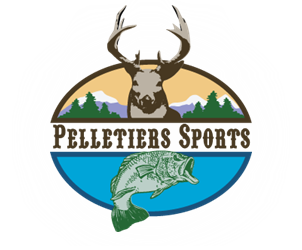 Shipping & Returns - Pelletier's Sports Shop Inc.
All returns must be made within 30 days of purchase. We will accept any returned items, with the exception of ammunition, gun safes, black powder, and air guns, for exchange or refund as long as the items are in new and original condition in the factory packaging. For safety reasons, all ammunition is non-returnable and non-refundable. Freight charges incurred while returning and/or exchanging items will be the responsibility of the customer, unless the return was due to an error on our part. If an item has been used and is found to be defective, we will refer you to the manufacturer for repair/replacement under the manufacturer’s warranty. All items received damaged must be reported within 2 business days by calling (603) 532-7180 or e-mail us at info@pelletiersports.biz. We must have original box with tracking label attached for an insurance claim. Always inspect and test your equipment immediately upon delivery, even if you do not plan to use it right away. Most products we sell are covered by a manufacturer’s warranty that requires items to be sent directly to the manufacturer for replacement or repair. All products are brand new with full manufacturer’s warranty. Most products we sell are covered by a manufacturer’s warranty that requires items to be sent directly to the manufacturer for replacement or repair. If you need to return an item, please contact us immediately. A 15% restocking fee may be assessed on all returned items, unless the return was due to an error on our part. We want you to be satisfied and enthusiastic about your experience with us. We don’t consider the sale final until you are satisfied. If you return an item, please include your email address as well as your full name and telephone number, and a copy of your receipt so we can find your order quickly.